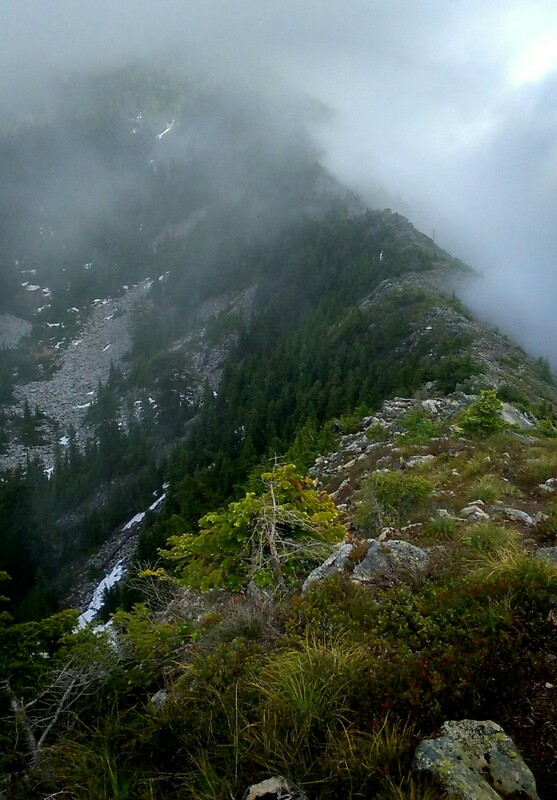 Ever been to the top of Mailbox Peak? Maybe, maybe not. But if you hike near Seattle I’m sure you’ve heard of it. Probably even on your list. Around here it has achieved something of a mythical status, whether that is deserved or not is up to you, but hell, there is a freakin’ MAILBOX on top! Funny how location can make something as ubiquitous as a mailbox suddenly so alluring. There’s even a warning label! There really isn’t much to say about Mailbox that hasn’t been said before. The olde route is reasonably steep and muddy, but it’s fierce reputation might have a LOT more to do with its proximity to the ever burgeoning population of Seattlopolis than it does about the mountain itself. That being said… If one could see the invisible mounds of discarded hubris laying all over this hill! 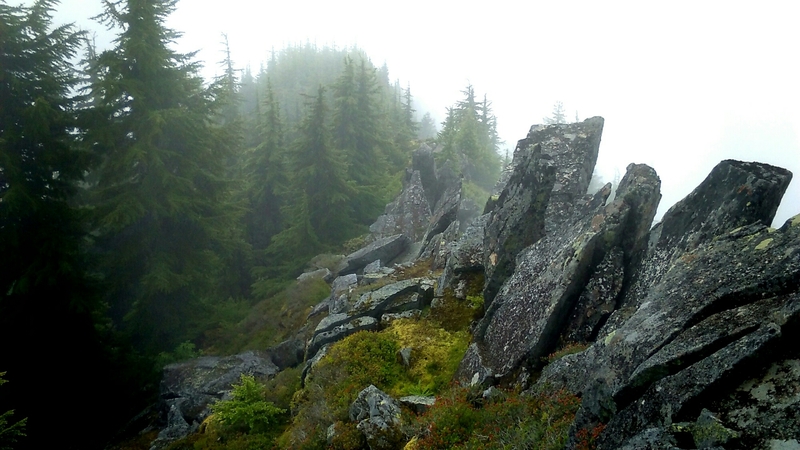 The first 2/3 or so of this hike is through forest, but you’ll break out and find yourself in talus and heather. There isn’t any serious scrambling to speak of rather; mud, rocks, roots and occasional dog poop bags. Admittedly I have not yet tried the new trail, but from what I understand it trades steepness for distance. 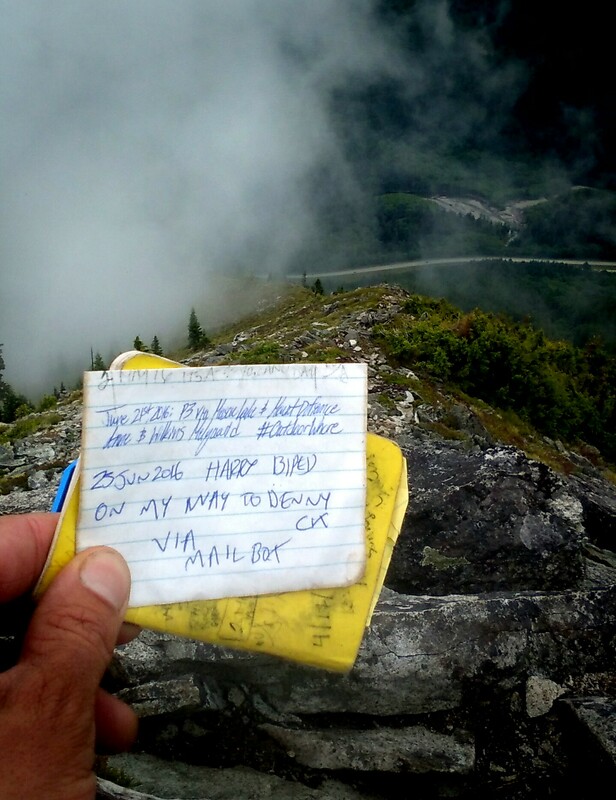 Elevation Gain: (with Mailbox) 7,000’+-? Right off the bat there is some scrambling, which probably tempers a lot of people’s desire to go further. Much of the journey is the same; faint path, no path, rock scramble. So just where in the hell does this “path” go…? Dirty Box summit is an unremarkable high point along the way to an open perch looking towards Dirty Harry’s Peak. This little perch is where I imagine most people do their summit lounging. Perhaps you can contemplate what it means to sit atop a suggestive portmanteau. Continuing down the ridge, signs of the “path” can be difficult to trace. At some point it will become apparent that you’ll have to drop a ways down the south side of the ridge to avoid impassable sections. Regain the ridge when you can, at its end you’ll encounter a class 3 down climb. There was one move that I didn’t want to do with my pack on, so I lowered it down with a rope. Without the pack the scramble wasn’t a problem. When I got to Dirty Harry I thought I was screwed. It’s pretty much a cliff. It’s a face. It’s DIRTY HARRY’S FACE. I shimmied up the first good looking crack but further up looked beyond my risk level, especially with a bag. 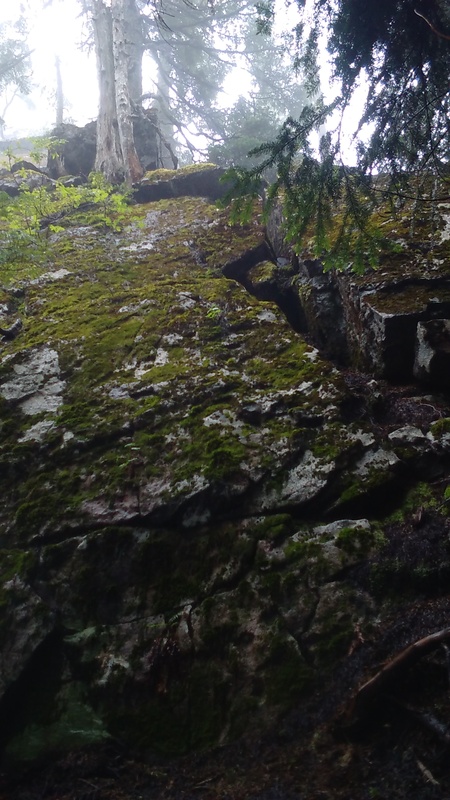 I saw a precarious but promising hope; Another crack in the cliff with some evenly spaced trees growing out of it. Without the trees I would not have attempted this, and without the trees I think this is beyond the definition of ‘scramble’. I followed the Dirty Harry trail down from the summit, watching for a good place to continue along the ridge. Stay high and head east. 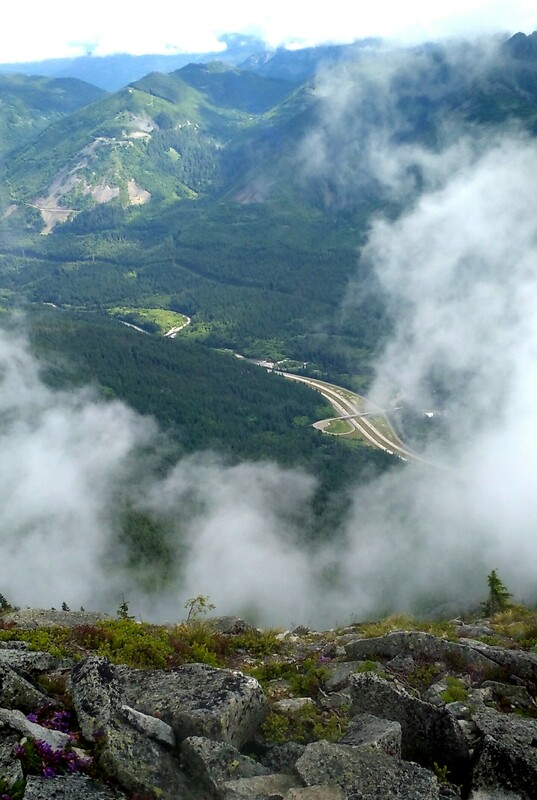 The ridge gives some revealing views down to the I-90 before dropping you near Dirty Harry’s Bathtub. There is often water available in this little basin and the tranquility here makes for a good rest. This is an exercise in talus, at least up it’s western bowl. One way or another you’ll be dealing with a lot of it. This can be mitigated by traveling the forested patches on the southern side. The ascent isn’t technical. Just aim toward the ridge, then stay below the chaparral up top, looking for a way in. A path through the brush leads to the top. Looking east from Webb the next highest point is Putrid Pete’s Peak (P3) named for legendary climber Pete Schoening. 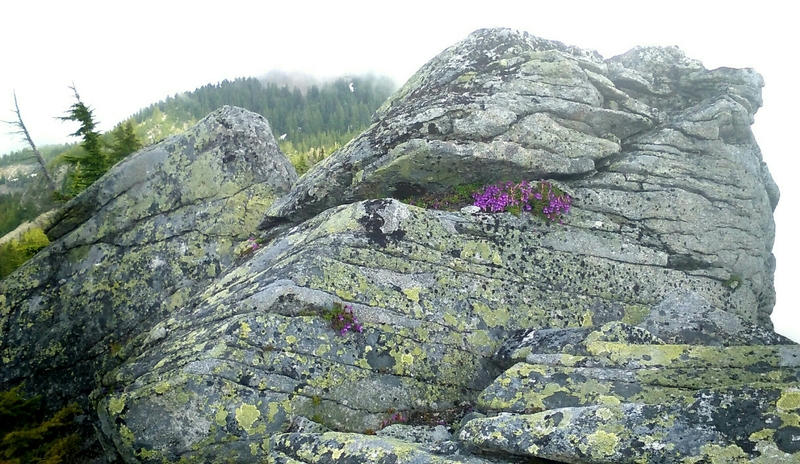 There are no obstacles besides the steep heather, slabby rock and wide open views. A short scramble puts you on top of P3 to make your mark in the summit register. Beyond Pete is more wide open ridge walking. Toward the eastern end as the trees start to cover the bare ridge, there are decent bivy sites but no real water. Continue along the ridge working your way up and through the trees. A number of “paths” lurk around. You’re looking for the Thompson Lake trail. It’ll look like a freeway compared to what you’ve been on. Head east. 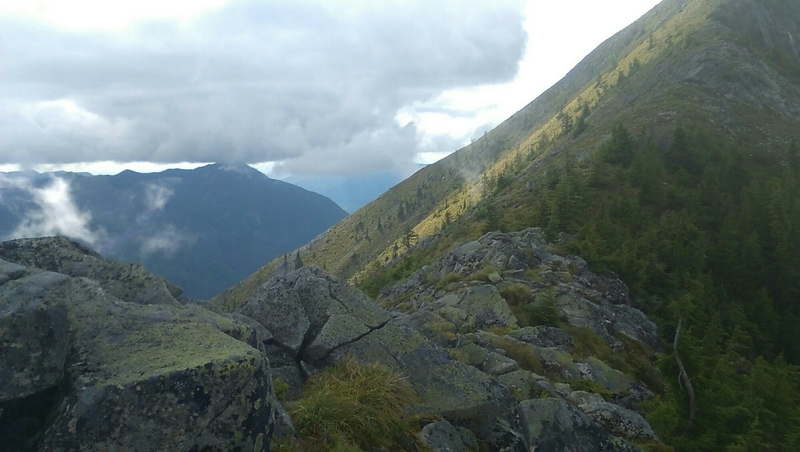 This trail intersects with a spur up to Mt. Defiance if you feel the need to go up there for some reason. …and I’ve been up there already anyway. These are reasonably trafficked lakes though, at least the ones on the main trail. Think early Friday. Take a load off, you’ve earned it! Continuing east on the trail there is a point where you’ll cross a boulder field which is sometimes marked with a cairn. This is the route up Pratt Mountain if you just have to bag it! 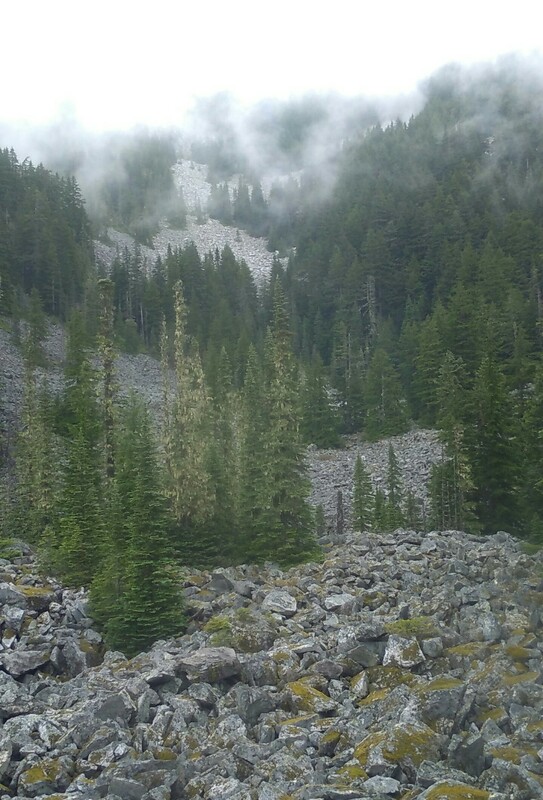 The trail winds down the steep forested slopes above Talapus Lake and again the I90 can be briefly seen. The other leads down into the Pratt Lake basin. My car is parked at Denny Creek so I’ve only got one choice. 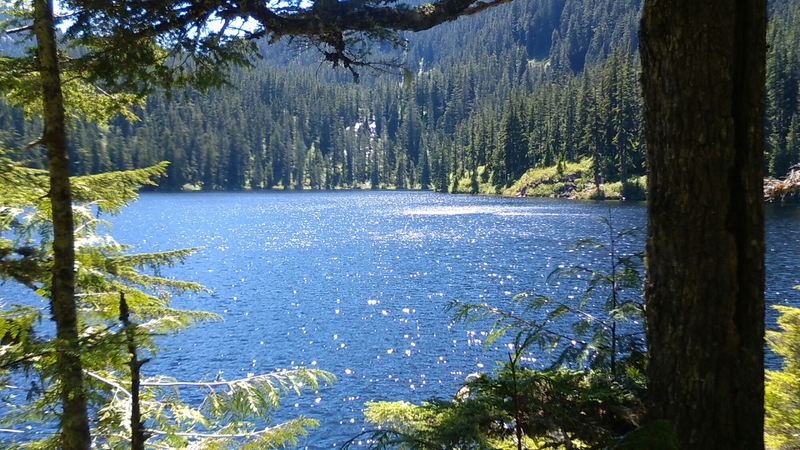 It’s a pleasant hike down to Pratt Lake, the trail comes in above the lake and passes by a day use site with shore access. The next landmark is Lower Lake Tuscohatchie, a beautiful waterfall roars from across the lake. Both can be reasonably popular lakes so if you’re going to stay don’t wait too long to find a space. Leaving the sights and sounds of Tuscohatchie behind, plod along towards Melakwa Lake at the top of Hemlock Pass. 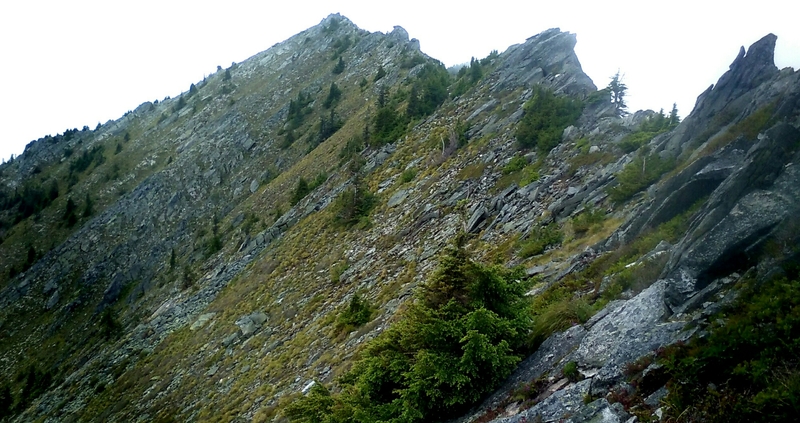 Above are the rough visages of some dramatic mountains; Kaleetan Peak, Chair Peak, Bryant Peak, “The Tooth”. Some of these can be scrambled despite their fierce appearance. Compared to some of the other gains you’ve made on this journey, Hemlock Pass is a cakewalk, IMHO. 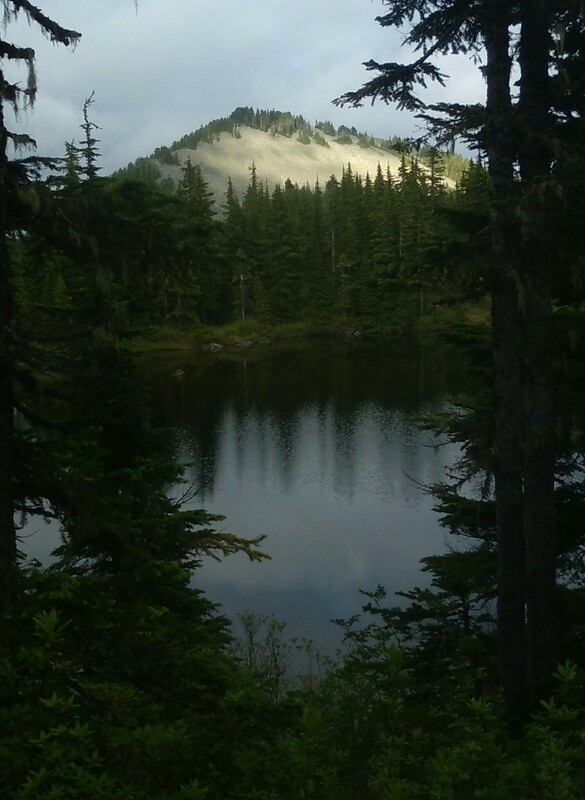 At the top of Hemlock Pass are the Melakwa Lakes and really the last good place to camp along the “HI-90” route. These are well loved lakes and for good reason; the scenery is world class. Stop for a minute, cast a line or spend the night. Whatever you decide to do, it’s all down hill from here! Hopefully the windows didn’t get broken out of my car! This was a great tour all around! 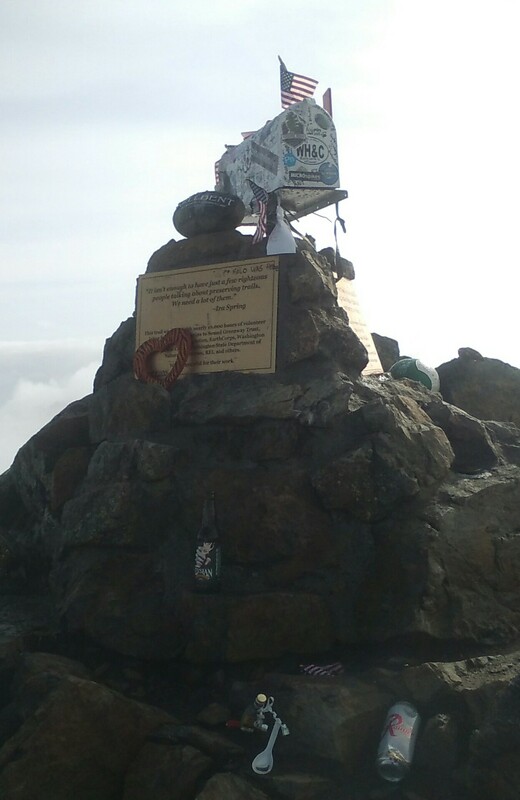 My only real suggestion is to avoid the Mailbox Peak to Dirty Harry section because of the dangerous climb out of the gap. …but for some of us that’s the appeal! I did this trip in two days and a night basically, and after subjecting myself to that I would suggest taking 2-3 nights minimum. Not only to save your legs but also to maybe squeeze in a side scramble or an off trail lake. 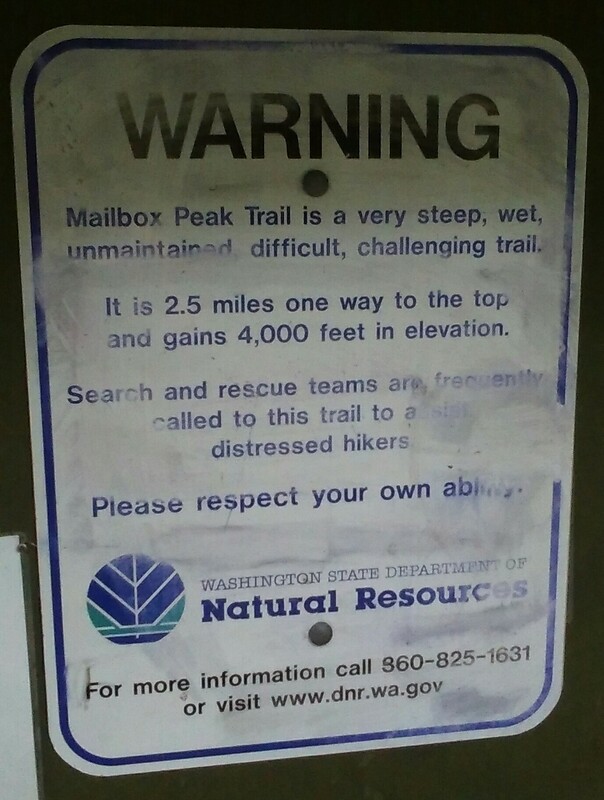 Mailbox Peak falls under the jurisdiction of the state DNR and as such there are prohibitions on certain activities such as camping. A Discovery Pass is required for parking, but I’m not sure about their rules regarding overnight parking. 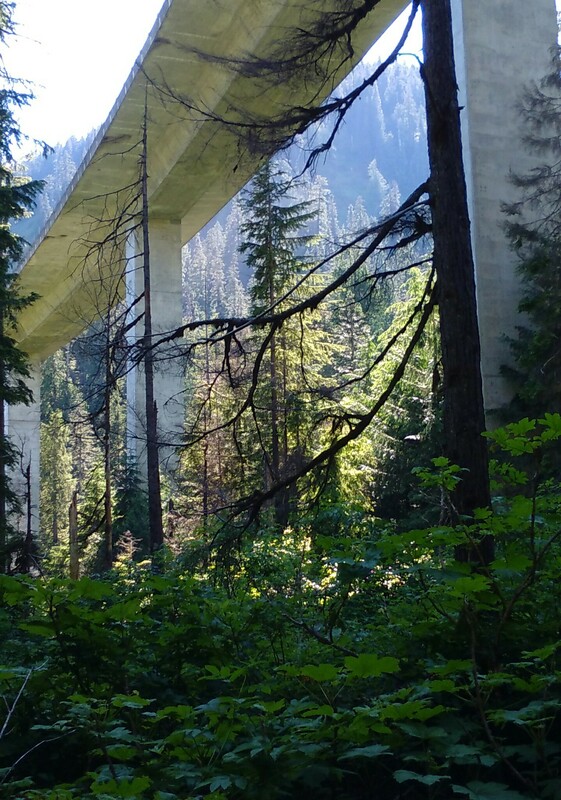 Denny Creek is in the National Forest and requires a NW Forest Pass for parking. 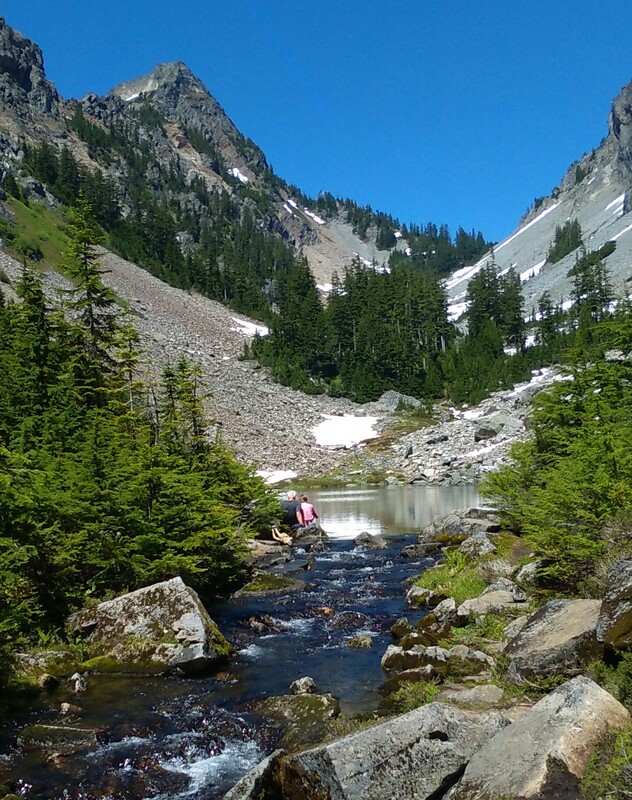 Traveling within the Alpine Lakes Wilderness requires a self issued backcountry permit. Sounds fun. 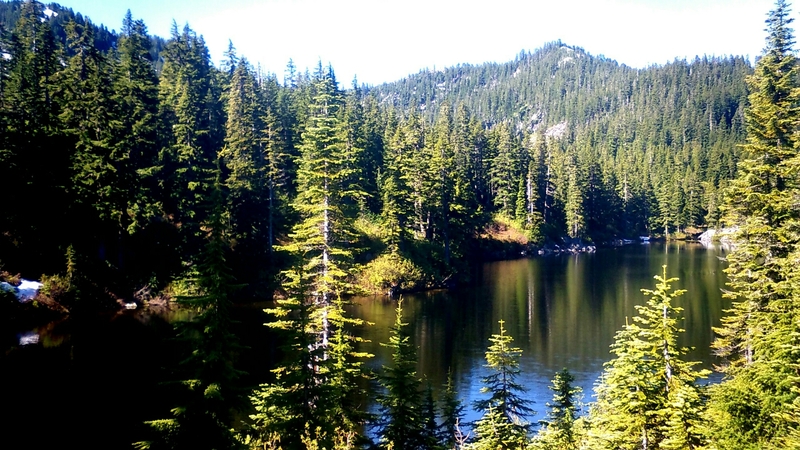 Have you looked at dropping down to Granite lakes on the logging roads behind mailbox? After Granite lake one then could go to Thompson lake and on to Pratt and so on.